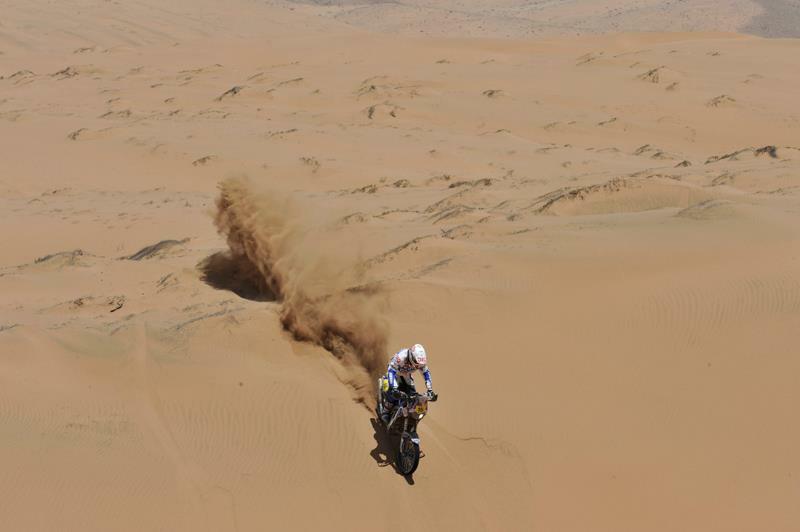 Dutchman Frans Veorhoeven became the sixth man to win a stage of the 2013 Dakar, claiming victory on the 319km timed special from Fiambala to Copiapo. The Dutch riders are renowned sand experts and Verhoeven made the most of one of the last big sand stage of the race to win 1m 38s from factory KTM rider Ruben Faria. He said: “Today was quite a hard special. We had a lot of dunes. We also had a lot of stones and rivers – it was very technical. There was also a lot of work on navigation; you had to be very precise on navigating not to get lost. I did quite well all day. I kept on pushing from the start to the finish and I caught about three guys: Faria, Jakes and Duclos. We were riding really hard and really well. I'm very happy to have won this stage and also thanks to Yamaha who gave me this wonderful bike, I couldn't do without it. On face value race leader Cyril Despres didn’t have a good day with eth Frenchman ending the day down in 14th place. But it was in fact a very tactical approach that saw him lose only four minutes to main challenger Francisco Lopez. He will also had the benefit of starting the stage in 14th place tomorrow meaning he will have plenty of riders to case and the opportunity to make up some significant time on Lopez. Ruben Faria finished the stage in second place and sits second in the over overall standings – a position he now has the possibility to keep. Fast Spaniard Joan Barreda finished the stage in third place with surprise package Alain Duclos fourth onboard the factory Sherco.